Indie music, Indie video games, Indie publishing. It’s all the rage, haven’t you heard? I’ve been a nerd/geek for as long as I can remember. Being trendy has never been an aspiration of mine. I’m very independent. Thanks to Amazon, the ebook revolution is well underway, and now authors have a new and inexpensive way to reach readers, and maybe some can even make a living out of it. Royalties: Let’s just get this one out of the way first since it’s a no-brainer. 70% royalty per ebook paid once a month when Indie, vs. 10-15% per book paid 1 or 2 times a year when with a publisher? No contest. Control: I choose everything. The cover, the title, the blurb, the layout, the ebook formats available, the marketing, and most important the price are all controlled by me. For the perfectionist, this is heaven. Ownership: If I chose to publish with a traditional publisher, I would have to sell my rights to the book to them. Indie publishers retain their intellectual property. Speed: Indie publishers can get their books out instantly. Legacy publishing can take 1 to 2 years to print and get in stores. Sold Forever: Legacy publishing is cruel; if you don’t start selling within a few weeks, your books are pulled off shelves. With ebook indie publishing, everyone shares the same web real estate, and a book is only pulled if I want it to be. Freedom: For the first time, writers are now able to be the artists they truly are. Think about all the other professions of art: painters, sculptors, jewelry makers, soap makers… you name it, they have the freedom to create, produce, market and sell, all on their own. Sure, it’s hard. But they have the freedom to try, and succeed or fail by their own merit. They’re not held back by the enormous power that publishing companies have to deem which writers are worthy of print. And now, the writers are free, too. Despite all the above, there is still that little part of me (the one that wants recognition and prestige) that wonders, “Could I have made it the traditional way?” I don’t know. But really,who cares? Why should a person I’ve never met get to decide if my book is “worthy” of print? Let the reading market decide if I’m worthy. Independence. It is here. It is now. Savor it. Rob Vitaro is a Christian, husband, father, writer, programmer, artist and generally all around nice guy. 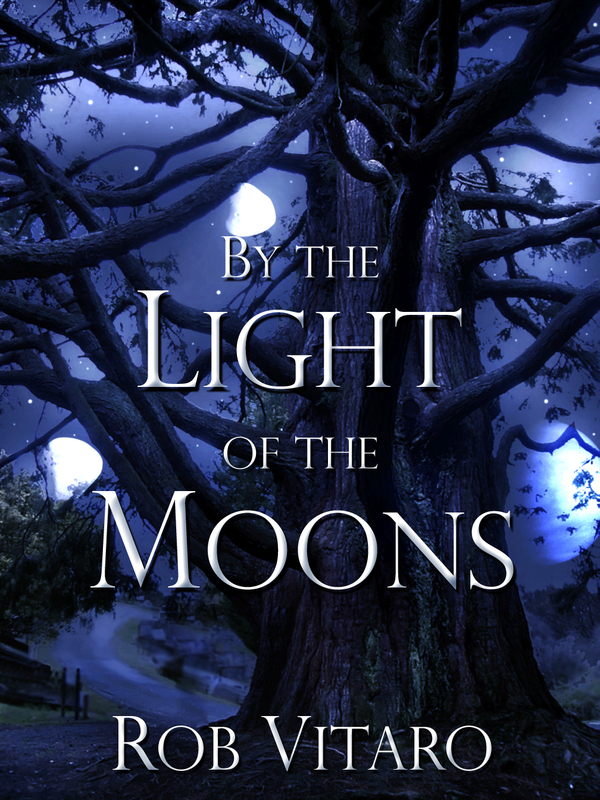 He has published one novel, By the Light of the Moons, and is currently working on the sequel. He lives in Bethlehem, Pennsylvania with his wife and children.